There are approximately 4 million seniors wrapping up their high school career each year. How many of them will get into a top college? If you are here with us, you are either a proactive student or a dedicated parent looking for guidance on how to get into college and trying to prepare for a competitive, grueling application process. 2018 admissions results for schools have been released, and for top colleges, the number of applicants have increased dramatically while acceptance rates have dropped. This level of competition has in turn trickled down from the top 20 colleges, to the top 50, to the top 100. If you’re aiming for an Ivy League or de facto Ivy League school, you have your work cut out for you. For every 10,000 of the ~4 million seniors, only 5 will be accepted to Harvard College. 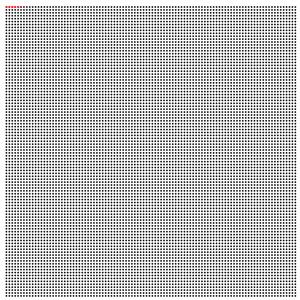 To put that into perspective, in the image to the right, this is what 10,000 people look like represented by dots. The red dots represent the 5 people accepted to Harvard in 2018. Whether you have your heart set on an Ivy League college or if you’re aiming for an excellent public university or state college, you need to put your best foot forward by making sure your application positions your achievements and potential the right way. Strong grades and SATs used to signal an advantage in the college application game. However, now they’re merely pre-requisites for selective colleges. Today, you are competing against thousands of valedictorians with 1450-1500+ SATs, against 4.0 GPAs, against state and nationally ranked students in math, writing, biology, chemistry, physics, piano, violin, singing, ballet, jazz, basketball, football, track & field, and on and on. You’re also fighting for spots with international students – the nationally and regionally ranked scholars in their respective countries. Achievements aside, you’re going head to head against students working with private college consultants and elite private school counselors (with years of experience on putting together effective applications) helping them construct and refine their college applications. You’re also in the same pool as students who have the advantage of being legacies at your dream college. Applying for college is one of the few major life milestones that you get to do once. 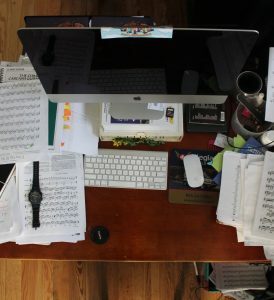 For life changing job opportunities, auditions etc., you have the advantage of practicing ahead of time or drawing from your previous experience. But there’s no dress rehearsal for college applications where you can learn from your mistakes. You need to get it right the first time. The skills you need to build a strong application are the same for advancing in the professional world – resume writing skills, interviewing, knowing how to manage your personal brand. The problem is, as a high school student, you largely haven’t been exposed to experiences that would allow you to develop these skills. And without them, you’re left struggling through the process and ultimately submitting suboptimal applications that do not adequately capture and reflect your hard work, achievements, and potential. The insanely competitive landscape and the knowledge gap for students is why families spend thousands of dollars on private college consultants. Great consulting companies have gone through the process thousands of times, and students can benefit from all of their experience and insights on how to get into college. But for most families, the consulting route is not financially feasible – college application consulting can run upwards of $5,000-10,000. If this sounds like an astronomical amount to you, you’re probably feeling frustrated and stuck, and you’re not alone. What if you could get the benefits and knowledge of a private consultant without the hefty price tag? Private consultants provide great guidance and can be a valuable resource during the college application experience. They are successful in helping students not because they are pulling strings at colleges or skewing the admissions process. Rather, they teach students how to get into college by approaching their applications in the right way to best showcase their talents. But what makes them expensive are the man hours involved. If you’re able to access their learnings and advice and apply that on your own, you can reap the benefits of expert insights and experience on how to get into college to elevate your applications without the $5,000-10,000 price tag. That’s what we set out to do when we founded Get Into Ivy. We wanted to make admissions and application guidance more accessible and affordable so students and families who have more limited financial situation can stay competitive in the bid for their dream college. The truth is, there is value in working with a college consultant. The core value is in the knowledge and experience they bring to the table to help you position yourself and tell your story effectively through your application. And if you had those insights, you can do the rest on your own. We set out to create a solution to give students and families the benefits of all that guidance and experience of how to get into college, but without the face-to-face time that skyrockets the cost. We’ve seen time and time again from proactive and self-sufficient students that they typically don’t need an extensive hands-on approach. They can reap the same benefits through self-study if they had the right guidance. So we broke down the college application process step-by-step. We spent months creating a proven college application strategy with advice, insights, and exercises to help you position yourself effectively in your application to take your best shot at your dream college. The College Application Blueprint is a step-by-step 8-module online guide that will take you through every aspect of the application process and how to get into college. It simplifies the application process by taking the mystery out of what colleges value and what admissions officers need to know about you. Each module helps you think through your background and experiences as a relates to a different section of your application and helps you prioritize what activities or achievements you need to cover to tell a holistic story about your personal growth, achievements, and potential. There is no reason why you shouldn’t be competitive against students working with consultants or more resources. It’s up to you to give yourself the best chance at your dream school. 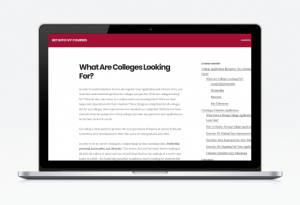 The College Application Blueprint contains modules that walk you through the college application process end-to-end and includes learnings and insights from Ivy League alumni, college interviewers, admissions officers, Fortune 500 and Silicon Valley business leaders and company recruiters, and recent seniors accepted at the most prestigious colleges in the US.